1. A young woman uses Periscope to live stream DUI driving. We covered this ridiculous incident shortly after it happened. 23-year-old Whitney Beall made national headlines when she live-streamed herself driving DUI in Lakeland, Florida, in October. Police officers learned about the incident when social media users contacted them with the details. The woman said she was driving DUI repeatedly on the live-streaming app before officers finally located and arrested her. Social media is not the place to broadcast any illegal behaviors, but her live stream that night may have saved her life and the lives of others. 2. 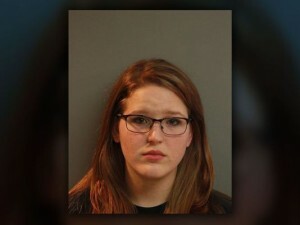 Another young woman remains belligerent after deadly DUI crash. A 21-year-old college student, Jeena Roberts, was allegedly speeding and driving under the influence when she crashed into an SUV in Lubbock, Texas, in February. The crash killed one person on the scene and injured two others. According to prosecutors, Roberts was not only engaging in reckless driving behavior that day, she was also captured on the arresting officer’s dash cam arguing with the driver, unwilling to admit she had caused someone’s death. She later faced increased sentencing for jumping bail. 3. Colorado repeat offender kills himself and family. A 44-year-old man with as many as eight prior DUI arrests crashed into a minivan in Colorado in January, killing himself and three others. Rigoberto Macias-Marquez allegedly drove across the median in Weld County and struck the side of the minivan. Gilbert Martinez, driver of the minivan, and his two sons died on the scene. His wife survived the accident with injuries. Prosecutors argued that the story highlighted the need for stronger repeat-offender laws in the state. Other analysts suggested that the accident shows the weaknesses of DUI education. Do you need assistance constructing an appropriate response to a DUI charge? Look to the Kraut Law Group’s Michael Kraut for insight and peace of mind. Mr. Kraut is an experience Los Angeles DUI attorney with many relevant connections in the local legal community.